Earlier this week Paul Everitt, CEO of ADS appeared in front of the BEIS Select Committee, alongside Katherine Bennett, Airbus and Simon Henley, Royal Aeronautical Society, to discuss the implications of Brexit and the Withdrawal Agreement on the Aerospace Sector. The Committee were keen to hear ADS’ views on the Withdrawal Agreement and Political Declaration which were ratified by the EU27 leaders on Sunday. The UK’s aerospace, defence, security and space businesses are part of global industries, with supply chains that are deeply integrated across Europe and the world. The Withdrawal Agreement and Political Declaration provide a good foundation for securing many of the vital provisions that our industries need to continue to prosper and that secures the important transition arrangement to discuss the full detail of our long-term relationship with the EU. Paul highlighted to members of the BEIS Committee because a no-deal Brexit is the worst possible outcome for our sectors, it is the only scenario ADS members have been planning for. Avoiding border delays has been a central focus of our members’ contingency planning, with suppliers being asked to carry one month’s stock but many simply have no extra capacity. In ADS’ Budget Submission, we requested that the Government put measures in place to assist companies who face crippling cash-flow hit of VAT by carrying additional materials and stocks. Because of this Paul, Katherine and Simon were united in stressing the importance of the Withdrawal Agreement, the transition period it triggers and the positive framework for our future relationship with the EU. With little more than four months until the UK leaves the EU, there is little time left to prepare for the disruption of a no-deal outcome if this agreement is not taken forward. The BEIS Committee also visited ADS Northern Ireland to meet with suppliers where they heard first-hand the issues arising around cash-flow, the importance of being able to trade and the importance of certainty that businesses require. ADS sectors are strategically important to the UK, contributing to national security and economic prosperity. 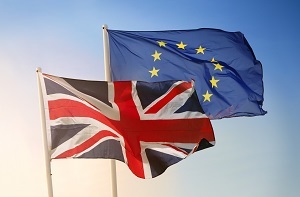 With the UK nearing the end of the negotiations for leaving the EU, we must make sure that UK industry’s globally competitive sectors are best prepared for the challenges they will face in the years ahead. The Withdrawal Agreement offers the best opportunity currently available to ensure our sectors continue to be world-leading, generating well-paid jobs, high-tech exports and sustainable growth across the country.